District Councillor for Urban Development Jens-Holger Kirchner (Bündnis 90/Die Grünen), the Senate Department for Urban Development and the Environment, Berlin Water Works, and the Gleim Neighborhood Civic Association will be hosting an informational session on the current status of the planned construction of a water storage tunnel beneath Mauerpark. At the event, the Water Works will present residents, park users, and business owners with a report on its transportation assessment and a detailed design of the planned construction. All interested parties are welcome. 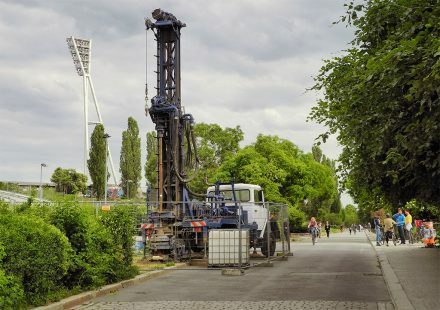 Over the next few weeks, the Berlin water company will be drilling exploratory holes for the proposed overflow sewer along the section of Schwedter Straße that is in the Mauerpark. The purpose is to investigate the groundwater level, check for any possible contamination and find out whether there are any undocumented pipelines or anything else that might obstruct future work. The park will be accessible at all times (including for cyclists) and work will not be carried out at weekends. The exploratory work is due to be completed by mid-July 2015. 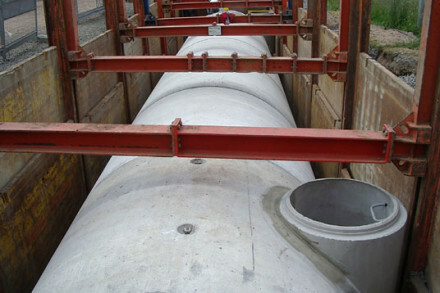 The actual work on the overflow sewer – which will be a major engineering project – is scheduled to begin in 2017, according to Berliner Wasserbetriebe, the city’s water company. Freunde des Mauerparks are working to ensure a continuing dialogue between park users and residents during both the planning phase and the engineering works.